If you follow foreign currency trading to any extent, you will know that it has become extremely popular in recent years, but is also quite restrictive, with set amounts of currencies to be bought and sold. It also requires an account with a specialist broker who deals in foreign exchange, or Forex as it is known. 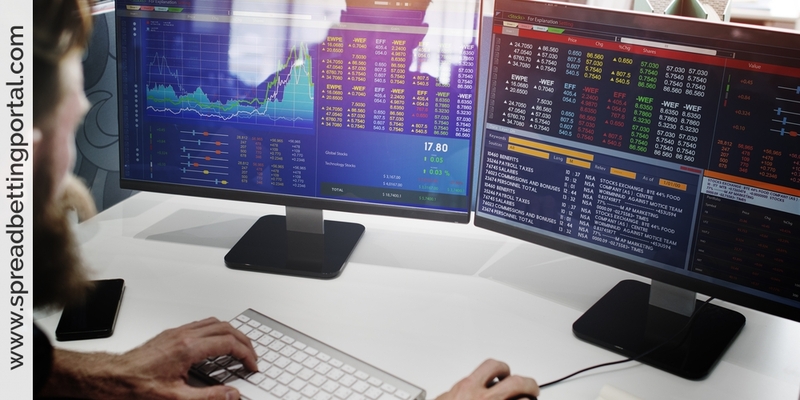 There is an easier alternative in the form of currency trade spread betting. To be clear, Forex spread betting does not involve actually buying or selling any currency at all, which means that you do not have to figure in all those exchange commissions. But trade spread betting like all spread betting takes the form of placing a wager on the movement of a price, in this case the exchange rate between two currencies. When you open an account at a financial spread betting provider, you will find that you are able to spread bet on many different things, and most spread betting companies include foreign currencies in their list of bettable items. All you need to do is place a correct bet on which way a currency’s value will change so that you can profit using spread betting. Foreign currency is always traded in currency pairs, as it is the relationship between the money of the two countries that matters. So you have to decide which one is the stronger, and make a bet on that. You have complete freedom to bet on either currency, and what is more your bet does not even have to be made in one of the currencies, but just in your local money, again saving on commissions. For instance you can bet on the change in value of the US dollar against the Japanese yen, or in Forex speak the USD/JPY, and stake £1 per point. When you ask for a quote, or go online to find one, your spread betting company will give you two numbers. One is what you can “buy” at; the other is to “sell” at. When you place the bet you choose to buy or sell, which equates to whether you think the price will go up or down, and to close your bet (and hopefully take your profit) you do the opposite. The difference between the buying and selling prices is called the spread, which is where spread betting gets its name, and the spread is the set amount that the provider gets for taking your bet. When you place your bet, you will notice that there is a set time and date for the bet to end. This is because the betting rules require it; but nothing stops you closing your bet at any time, even right away (though you would lose the amount of the spread if you did so). 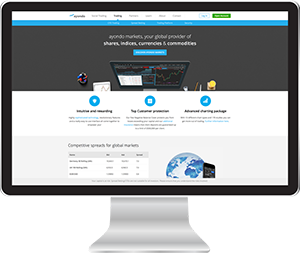 If you are interested in foreign currencies, and can follow the many factors that change their relative values, such as government actions, relative strengths of the economies, and border controls, then you will find that trade spread betting offers an easy way to profit from your expertise. Most technical traders will look at spotting trends with uptrends being recognised by a series of higher highs and higher lows, while downtrends are identified by a series of lower lows and lower highs. Traders usually connect past lows or highs on a chart to identify possible trends and extrapolating this to the future. Forex speculators will also look at moving averages here in particular the 20-, 50- and 200-day moving averages to see if these are consistent with overall trend patterns. Remember however that spot contracts are inherently short-term, same-day currency spreadbets although you can opt to have a spot contract rolled from one day to the next for a small financing fee. You are spread betting on whether currencies will rise or fall in the short-term. Traders looking to trade daily timeframes should check out, say a 20-period average which will give you an idea how how the market is moving. From here it’s viable to check the one-day chart and look for trading opportunities that are in the same direction of the longer term trend. Let’s take the GBPUSD, also known as the Cable. It is the first currency in the foreign exchange pair – referred to as the base currency that counts. So if you believed that sterling is likely to rise against the dollar you would buy GBPUSD. If you were of the opinion that the pound was going to weaken you would sell it short or buy USDGBP. What matters is to choose the right forex pair. For instance, had you bought 2 per point of the sterling/dollar (GBPUSD) in May this year at $1.4250 and sold this trade recently at $1.6000, you would have gained a nice profit of 3,500. Of course, had the trade gone against you, you would have incurred a loss and this is what makes Forex trading both lucrative – and risky at the same time. The dealing spreads are small because the potential movements are quite small. You do not expect currencies to move dramatically within the course of just one day (or a few days) – although this can happen. The rules are exactly the same as for forward currency trading. On the morning of 10th January, you decide that the USA $ will strenghten against the Canadian $. You check for a spot price USD/CAD and are quoted 9847.5/9850.5 ($1 = Can 0.98475 – 0.9850). You decide that the Canadian $ will weaken (or the dollar will strenghten; same thing). You buy the US$ at 9850.5 for $10 point. By 6 pm the market has moved quite a long way in your favour, and you decide to close your bet. You SELL the USD/CAD at $10 per point and are quoted 9987.5/9990.5. You deal at 9987.5. Difference: 137 points @ $10/point = $1370 profit. On the morning of 15th February, you decide that the £ will weaken against the $ (or the $ will strenghten against the £ – same thing). So you decide to SELL the £/$. You call for a price and are quoted 16809/16833. You sell at £20/point trading at 16809. By lunch-time, the market has moved significantly against you, and so you decide to close your bet and cut your losses. You telephone, and are quoted 16876/16900. You BUY at $10 per point (at 16900) and close your bet. Difference: 91 points at £10/point = £910.00 loss. But why would you want to deal in currencies? Most do so in an attempt to make gains from fluctuations in currencies i.e. to speculate – in which case the scope is to profit from price fluctuations between two currencies; an activity that is normally substantially leveraged so as to magnify possible gains (but this would also amplify the risk). 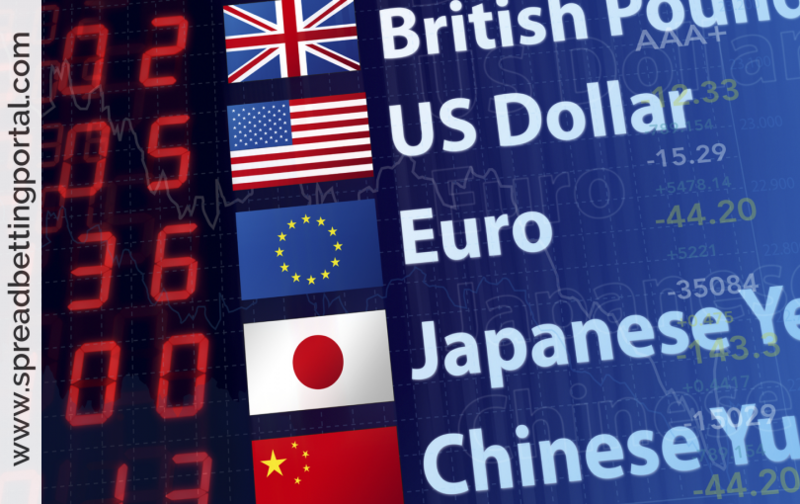 However, others look at currency trading as a way to diversify their market exposure. This is because currencies have a low correlation to many other asset classes and sometimes this correlation is inverse meaning currencies tend to move in the oppositie direction to stocks and bonds. Others use currencies as a hedging mechanism; for instance if are based in the UK but have an international stock portfolio in euros you are exposed to the euro day-to-day fluctuations, and you could neutralise the euro exchange risk by taking a short position on the euro.